Suitable for Class A fires. Not considered effective for Class B and Class C fires, and dangerous if used for electrically energised equipment or cooking oils or fats. Powder Fire Extinguishers offer protection against Class A, B and C Fires and are a general multi-purpose extinguisher. Powder Fire Extinguishers are safe to use on live electrical equipment but the powder residue may also cause harm to some equipment. Dry Powder Extinguishers work as the Powder reacts with the fire and the powder spreads therefore extinguishing the fire. 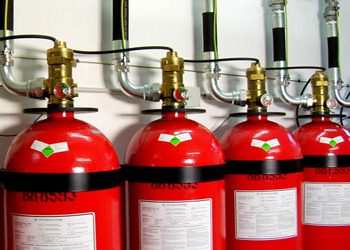 Carbon Dioxide Fire Extinguishers offer protection against Class B fires that involve liquids or materials that liquefy such as petrol, oils, paints and fats. 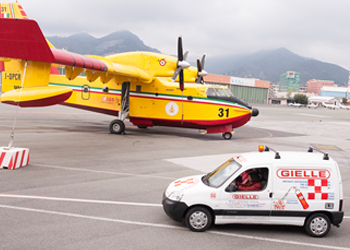 Carbon Dioxide Extinguishers discharge the extinguisher content under pressure which replaces the air surrounding the fire with the inert CO2 gas which does not support combustion therefore extinguishing the fire. 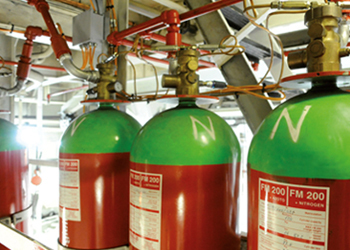 Carbon Dioxide Fire Extinguishers are safe for use on live electrical equipment. Carbon Dioxide Extinguishers do not leave a residue. Wet Chemical (F-Class) Fire Extinguishers offer protection against fires that involve cooking oil or fats. Wet Chemical Fire Extinguishers also offer a small ‘A’ Fire Rating. No other type of fire extinguisher will be effective against fires involving cooking oil or deep fats. The unique Novec 1230 Fire Extinguisher (6kg) uses a sustainable chemical agent that is electrically non-conductive, , reduce the risk of damaging sensitive equipment, leaves no messy residue and requires no clean-up. It has a completely non-magnetic stainless steel shell and non-magnetic valve, hose and nozzle, and can be safely used in an MRI room. Older types of extinguishers may still be encountered. These include reversible soda acid and foam type extinguishers together with halon 1211 (BCF) type. Halon 1211 has been found to be an ozone depleting substance. Unless special exemptions have been obtained, BCF extinguishers have been banned and should be returned to a fire protection supplier or the fire brigade as soon as possible.